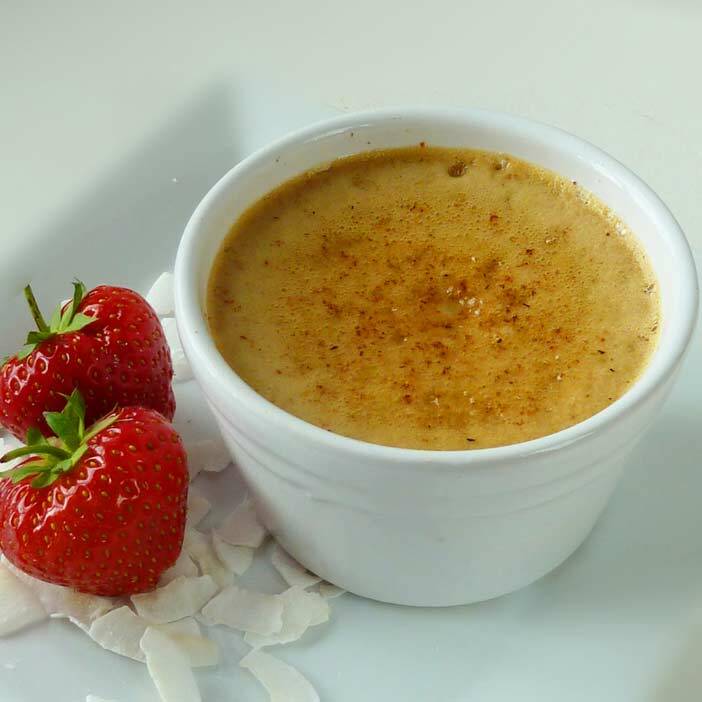 Coconut milk makes for a creamy, delicious custard-like dessert. With no added sugar, this pot of loveliness will not derail your weight loss efforts but will curb your cravings for dessert. You can eat them warm or cold and they also make a great, filling, breakfast. 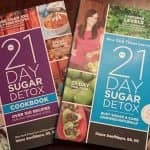 Perfect for your 20 no-sugar days challenge. Update: Looking for not sweet treats ? Diane is a certified nutrition consultant and author of two New York Times bestselling books, created the 21 Day Sugar Detox Program with 2 beautiful books with over 100 recipes in each book. Recipes are easy and take less half hour to prepare. Find what is inside each book on my review here. Put all the ingredients except the cocoa powder in a blender, the blender I use, and blend on a low setting for 30 seconds. Pour the mixture into four ceramic ramekins. Place the ramekins in a deep-sided baking tray of boiling water so that water comes about three-quarters of the way up the side of the pots. Dust the top of each pot with the cocoa powder. Pre-heat the oven to 320F. Place in the oven for 30 minutes or until a knife inserted into the custard comes out cleanly. Carefully remove the baking tray and then take the pots out of the water. Allow ten minutes to cool and then enjoy! More low sugar desserts recipes available here. So how many red, blue, yellow, etc containers would 1 serving be for the coconut custard? Regarding the 21 day fix containers I would say: 1 Red Container, 1/2 yellow container, 1 Blue Container. Hope I’ve helped. Thanks for your comment. I’m sorry about that. I’ve updated the recipe, Pre heat the oven to 320F and then place it in for 30 minutes.